If you've spent much time exploring central London, chances are you've come across the work of the Scottish artist Eduardo Paolozzi (1924-2005). On the South Bank, by the old Design Museum, sits his enormous bust 'Head of Invention' (1989), while his bronze piece 'Newton, after William Blake' (1995) serves as an ironic gatekeeper to the British Library, showing the great mathematician groping for knowledge the seabed. Further works sit in the Docklands, Kew Gardens and outside Euston and Pimlico stations, while until recently his mosaics covered the entire concourse and platforms of Tottenham Court Road tube station. "Until recently" is important. Although a significant section remains intact, the majority of the designs were moved to his hometown of Edinburgh, cleared away during the station's development. A further public work, The Artist as Hephaestus (1987), was removed from High Holborn in 2012. Having shaped the sculptural landscape of London for almost three decades, Paolozzi seems in abeyance. It is a good time, then, for a reputation-reviving exhibition. This month, the Whitechapel Gallery will open Paolozzi's first major retrospective since a critically unsuccessful 1971 show at the Tate. It will reveal an artist far more radical, individual and varied than his late public work. 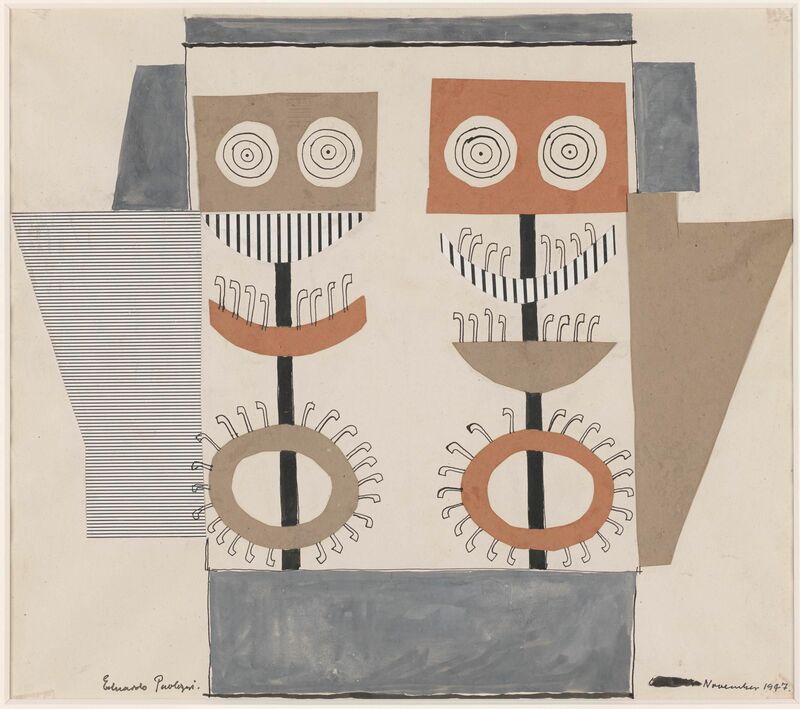 Structured into four chronological sections, it shows him embracing Brutalist concrete, creating textile designs for garments, turning pop art into cubist tapestry and experimenting with colour and form in the medium of the print. Dancing between modernism and surrealism, pop and post-modern, Paolozzi should emerge as one of post-war British art's true originals. Ahead of the exhibition's opening, Jocks&Nerds caught up with its curator Daniel F. Herrmann. First things first: why did you decide to stage this exhibition now, and why at the Whitechapel? We're basically doing a full-scale retrospective of Eduardo Paolozzi, from the 1950s to the 1990s. 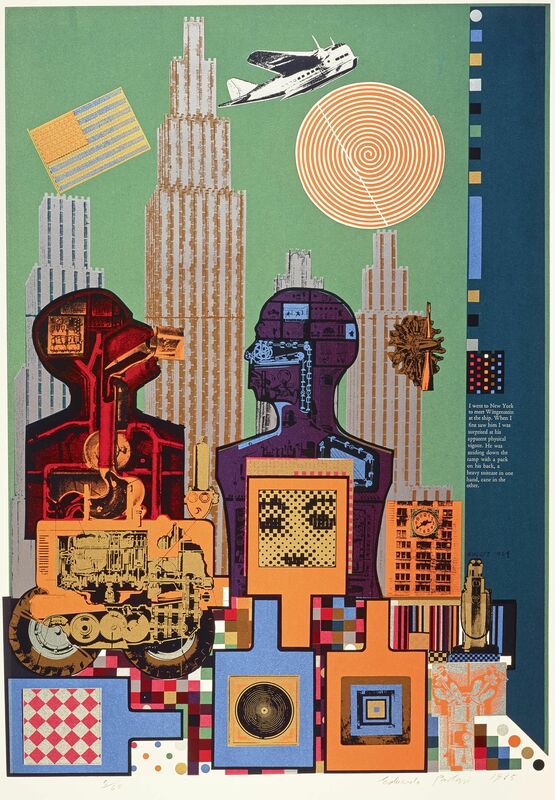 And Paolozzi was one of the most irreverent, interesting and prolific artists of the 20th century from Britain. 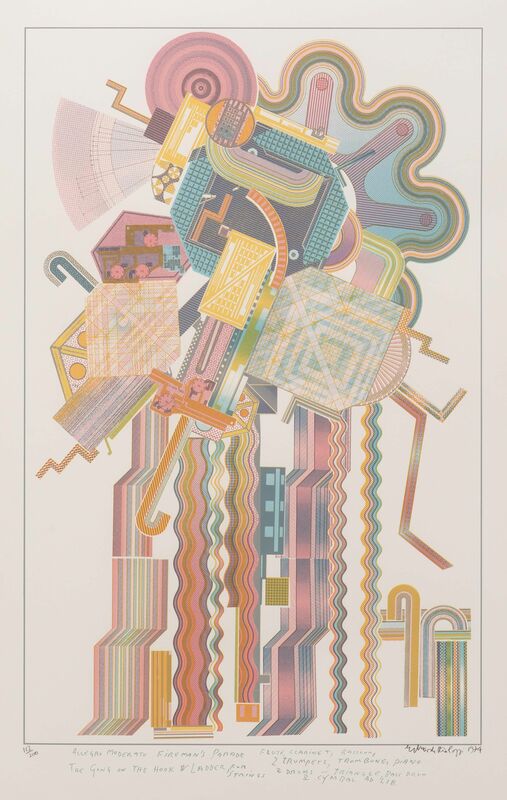 I think there's an interest in Paolozzi right now because he was an artist who consistently and constantly reinvented himself. If there's one common denominator in his extremely diverse and exciting work, its that he never wanted to be pigeonholed, he never let him himself be told what to do, and he totally broke the boundaries between different media. There's a whole generation of young, younger and emerging artists who feel a strong affinity to Paolozzi's way of working. He really didn't want to be called just a sculpture, a painter, a this-or-that. We're also seeing a resurgence of textiles, stoneware, ceramics and tapestry are artistic mediums, all of which plays a central role in his work and our exhibition. 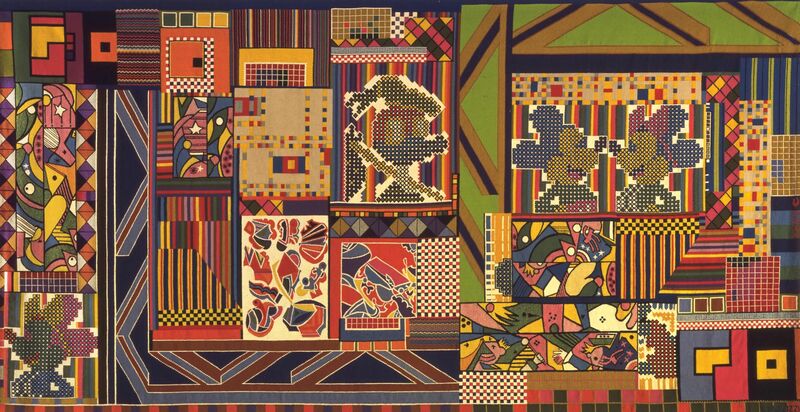 Given his innovative practice in a time at which many British artists were working in relatively conventional mediums, could you call Paolozzi a sort of outsider? I would disagree with that notion: he was very, very well connected. And that's where Whitechapel is central. 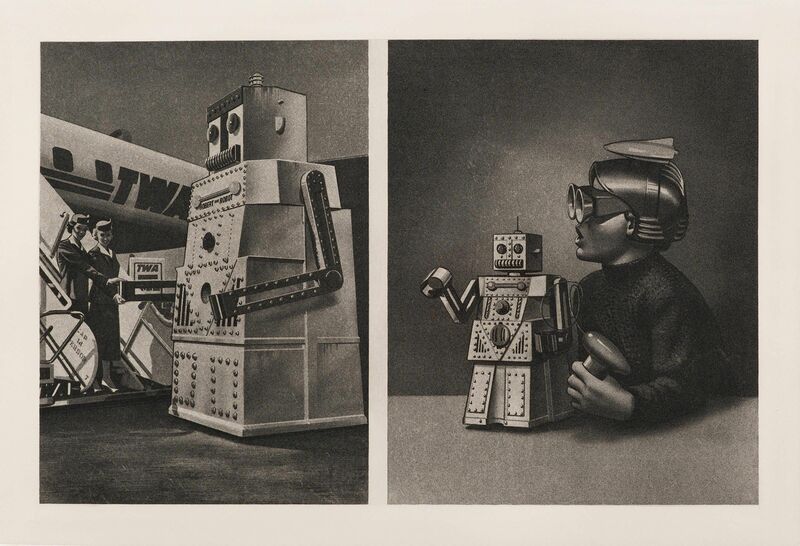 Paolozzi was part of the 1956 exhibition This Is Tomorrow and he collaborated widely. He was one of the founding members of the Independence Group, along with Richard Hamilton, John McHale, Nigel Henderson, and Alison and Peter Smithson. He worked with R. B. Kitaj, and he worked with Jim Dine: he had an incredible network of friends and collaborators. He was very much his own man, but he was never an outsider. 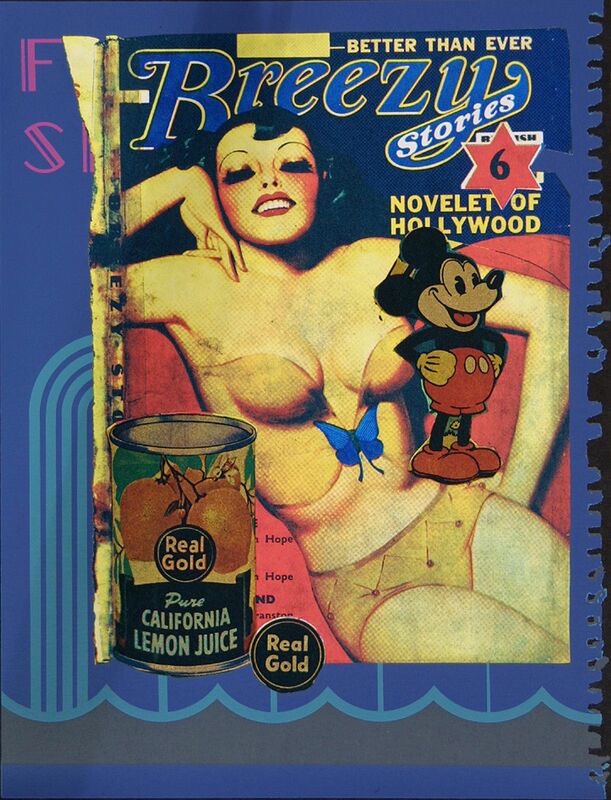 Much of Paolozzi's work contains images drawn from low culture, such as the profile of Mickey Mouse. What drove his interest in pop and commercial culture? He was fascinated by popular and entertainment culture. I think he deliberately broke with a tradition that only accepted a particular, imposed canon of art as worthy of attention. So I think his interest in popular and vernacular culture was a rejection of the previous art establishment. This was an artist who would not be slotted into place and told how to work. He would not sketch from a plaster cast of an antique bust, but instead he'd go out to sketch from popular culture and the everyday. 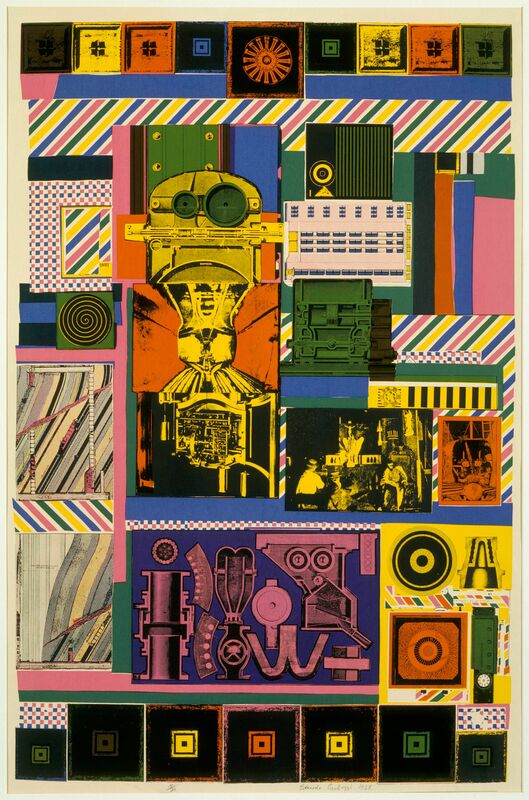 And the idea that everyday experience is worthy of an artist's attention is what I mean by saying that Paolozzi is an artist who was interested in all. From the 80s onwards, much as Paolozzi's best known work was in the medium of figurative public art, especially in London. Would the young Paolozzi recognise his later self? I think Paolozzi was always concerned with public art. He was an incredibly democratic artist, who can be summed up by the idea of 'art for all'. He's an artist with a strong working class background, the child of an Italian immigrant to Scotland who makes good by coming down to London, organising his own education and making his way to the top of the artistic firmament. His first public caisson was for the Festival of Britain in the 1950s, and he was one of the first young ratios from Britain to be commissioned for the International Horticultural Exhibition in 1953 – which sounds funny to us now, but was very important in the regeneration of Europe after the Second World War. He was invited there four times, and represented Britain at the Venice Biennale. So he was really at the forefront of British art after 1945.